A 710-acre estate with 250 acres planted with 18 different varieties of grapes. The vineyards are located with three AVAs: Russian River Valley, Sonoma Coast and Chalk Hill. There are over 50 distinct vineyard blocks throughout the steep hills, high terraces and low valleys. The winemaker beginning in 2012 is Margaret Davenport, known for her work at Clos du Bois Winery as well as her eponymous wines, and the estate manager is Douglas Lumgair. 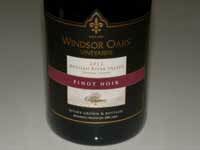 Small amounts of wine are crafted under the Windsor Oaks label, produced from special blocks on the estate. 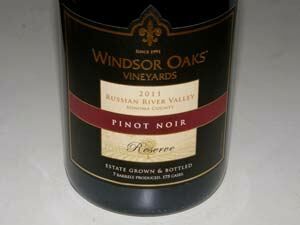 Several Pinot Noirs are offered from single Dijon clone bottlings to multiple Dijon clone bottlings. A value play, Masterpiece Vineyard, is grown, produced and bottled on the Estate and features In the Woods at Giverny, an artwork by Claude Monet. The wines are sold on the winery's website store. The estate is open to the public 18 days a year as well as VIP tours and tasting by appointment (707-433-3810).